Although we homeschool year round, we like to fill in the longer breaks with fun subjects like science. 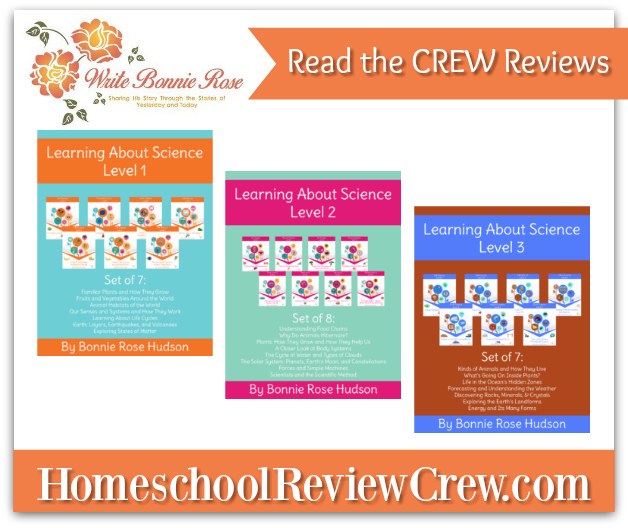 Being able to review Learning About Science Collection, Level 1 from WriteBonnieRose helped to fill that gap. It is a digital file sent in downloadable PDF ebook format. Each collection (Levels 1, 2, 3 Print/Cursive) includes a file for every topic presented. A plus for us during the rainy season. During the year, we take a few long breaks. 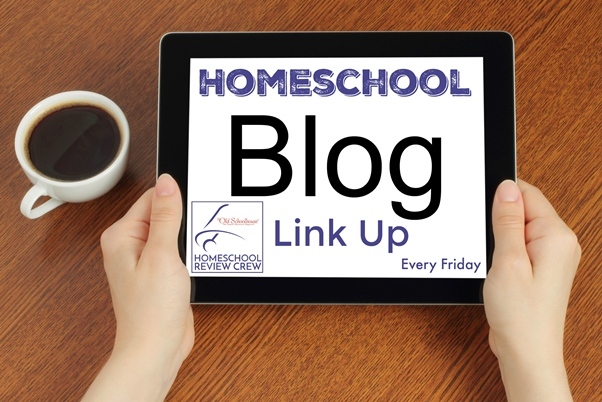 That means we take some time from our regular homeschool “schedule.” Things are even more loosely structured than normal. Yet, we still want to continue learning and having fun. After too much time, my kids start asking for coloring sheets or cartoon animation apps. So, it was great to receive Learning About Science. Because I like guides, maps, and basic instructions, I started with the Discussion Helps ebook. Within it are additional links, websites, articles, and resources to supplement each topic of study. What I did not see was a suggested topical starting point. For our family, that was a good thing. However, I do know some homeschoolers who might appreciate a suggested order of study. We began with the Exploring States of Matter ebook because…well…everything is made up of matter. And we can always reference it with all other topics. Our next topic of choice was Earth: Layers, Earthquakes, and Volcanoes. Our reason? We live in Costa Rica. The entire country sits in the Ring of Fire. And has four tectonic plates along its borders. Did you catch any new terms there? Wondering what they mean? Thanks to Learning About Science Collection, Level 1, my girls got some new earth science and physical science terms. And they were more than happy to share their knowledge. Along with many other terms in each new topic. My youngest also got the opportunity to practice her handwriting by tracing some of those new terms. Our next topic of study will be Fruits and Vegetables Around the World. I looked through the ebook and started to get excited. Our family is very much into permaculture. So much so that we started a sustainable community and disc golf course surrounded by a food forest with 140 different fruit trees. To see WriteBonnieRose and Learning About Science Collection, Level 1 name the type and locations of many of the fruit and vegetables that we grow here in our community put a smile on my face. It’s going to make what we do here in the community really come alive for our kids. 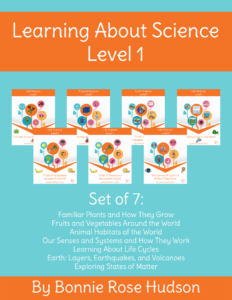 I think each Learning About Science Collection ebook we use for our homeschool breaks is going to add fun and knowledge. And all while we catch our collective breath. 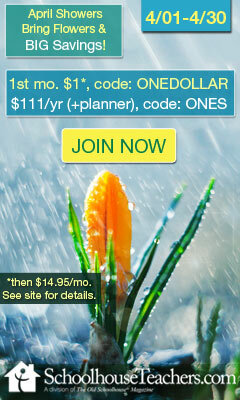 WriteBonnieRose has a special offer for Single Parent Homeschooling readers! 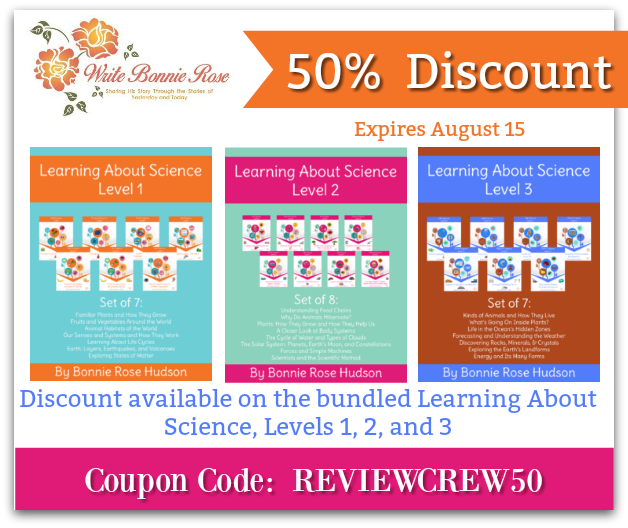 Save 50% on the bundled Learning About Science, Levels 1, 2, and 3 with coupon code REVIEWCREW50 through August 15. That means you can get each set of ebooks for $6 per set at https://writebonnierose.com/products-science/. Grab your bundle and have fun learning!